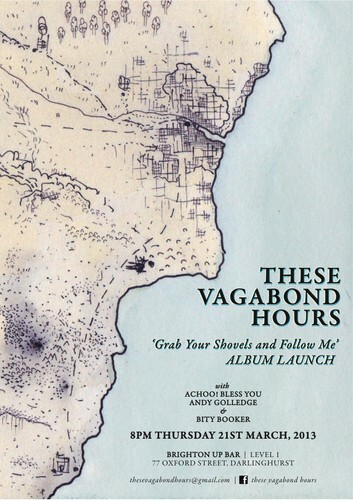 These Vagabond Hours are launching their debut album, Grab Your Shovels and Follow Me. It will be a great night of Sydney folk music with supports from Achoo! Bless You, Andy Golledge and Bity Booker.